Plan C is working with groups all over Europe to support the women’s military units in both Rojava and Shengal by funding “Celox” hemostatic dressings. The invasion of Afrin and the potential invasion of Shengal is the continuation of decades of oppressive, genocidal policies against the Kurds by the Turkish state. But the revolution isn’t over and support is needed now more than ever. Bandages will go where they are most needed, we suspect Shengal will be attacked next but bandages will also be sent to Afrin. We are sending bandages to Shengal so that if it is invaded and borders closed there is already a supply. Please follow the link and donate generously. Since its establishment the revolutionary project taking place in Northern Syria, the Democratic Federation of Northern Syria (DFNS) otherwise known as Rojava, has been under attack from all sides. Whilst fighting a successful campaign against ISIS it’s international enemies have attempted to strangle it with embargoes. When this didn’t succeed and the ISIS capital Raqqa was liberated, Turkey, the second largest army in NATO, with it’s jihadi allies in the FSA invaded Afrin canton. Despite facing modern tanks, aircraft, and artillery with light weapons the Syrian Democratic Forces (SDF) held them off for two months and with the enemy at the gates of Afrin declared a switch in tactics. Rather than engage in costly urban warfare, in which huge numbers of civilians would have suffered, a phase of guerilla warfare has been declared. In villages occupied by the Turkish army and the FSA the inhabitants are being forced out and the families of FSA fighters moved in. The invasion of Afrin is the continuation of decades of oppressive, genocidal policies against the Kurds by the Turkish state. But the revolution isn’t over and support is needed now more than ever. 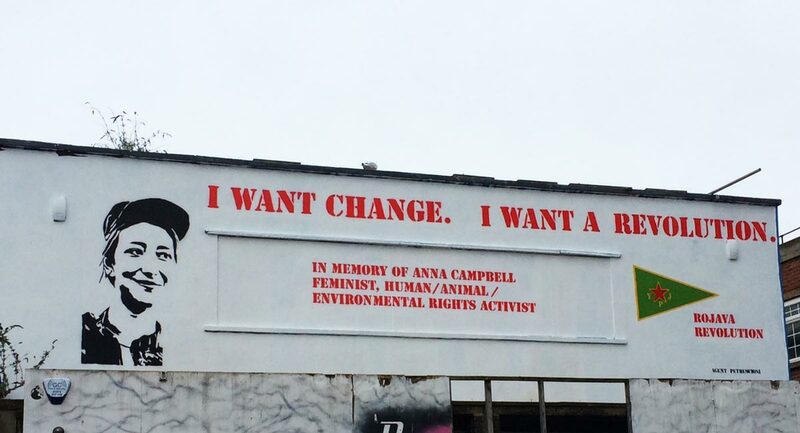 Built on the foundations of feminism, democratic autonomy, and ecology the revolution is a source of hope for progressive forces across the world and one of the only hopes for lasting peace in the Middle East. It is the scale and depth of the women’s revolution that has most inspired us. Women lead the revolution. Following in the footsteps of famous Kurdish women’s leaders such as Sakine Cansiz, and inspired by the ultimate sacrifice of Kurdish and international fighters such as Ivana Hoffman, Anna Campbell, Arin Mirkan, and Barin Kobani, women are at the front of the military and civil struggle. Polygamy and forced marriages have been banned, and divorce made legal. Systems of representation based on gender equality have been introduced. Women’s houses, neighbourhood institutions which act as social centres and support networks for women have been established and, of course, women make up almost half of the ranks of the military. Women’s education is empowering women and teaching them that whilst historically revolutions have returned to repressing women when the most urgent moment is over, this revolution will not allow that. Our comrades in Rojava and Shengal know that capitalism can’t be defeated without an end to patriarchy. This is a revolution that has spread beyond the borders of Syria into Iraq, into the area of Shengal. Whilst the international community watched ISIS move into the region in 2014, killing Yezidi men and selling women and children in slave markets the forces of the YPG/YPJ and PKK fought to open a corridor to rescue the 40’000 people hiding on Mount Sinjar. Since then communes and self-defence forces have formed and there is growing support for the democratic confederal project. Shengal, a traditionally conservative region, is undergoing a social revolution as the youth, and young women in particular join the revolution. Self-defence units (YBŞ and YJŞ) have been formed to defend Shengal and they have also fought ISIS in Syria, liberating Yezidi women forced into slavery, and participating in the liberation of Raqqa. Erdogan has recently announced that Shengal could be next. Any rival to his neo-Ottoman aspirations can not be tolerated. The need for international solidarity is more important than ever. We need to be applying political pressure on our own governments and the Turkish government, fighting for the decriminalisation of the Kurdish liberation movement, mobilising in the streets and winning arguments in civil society. 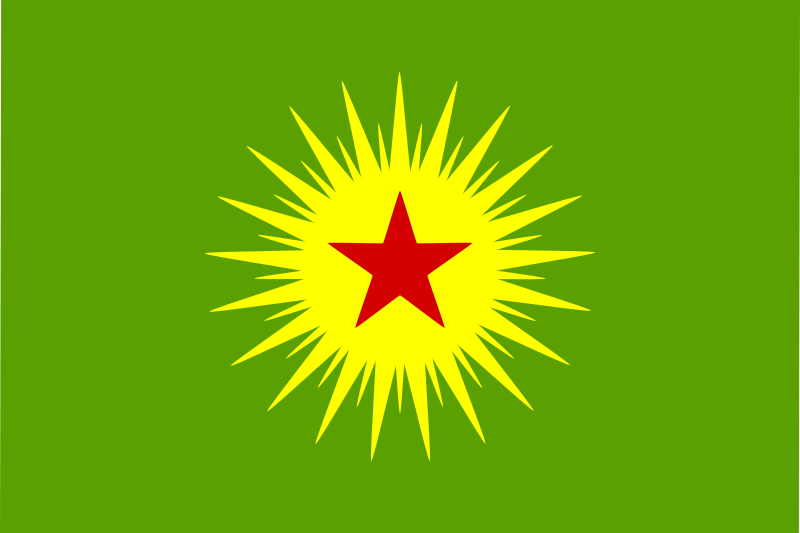 But we can also send direct support to our comrades in the revolution in Rojava and Shengal. Since our cluster formed in 2014 we have been trying to find ways of concretely supporting the revolution. We wanted to go beyond just disseminating information or posting solidarity photos. We have helped organise large fundraisers which have sent a school bus and medical supplies to the cantons, as well as baking equipment for a women’s co-operative bakery in Kobane. We have helped support our Kurdish friends in the UK, offering our time, energy, and skills – for example, running English classes in Birmingham. In 2016 and 2017 we sent three members to work in civil society and have organised a speaking tour since they have arrived back to disseminate their reflections. Now then is the time to not just raise our voices but to raise funds to contribute materially to the revolution. Plan C is working with groups all over Europe to support the women’s military units in both Rojava and Shengal by funding “Celox” hemostatic dressings. 60% of those wounded by gunshots die from blood loss while waiting for care. Celox dressings stop the bleeding quickly and effectively and therefore save lives. One bandage costs 75€. The Celox bandages are distributed to the fighters at the frontline through competent medical units. Bandages will go where they are most needed, many have been sent to Afrin and we are sending bandages to Shengal so that if it is invaded and borders close there is already a supply. We’re proud to be working with our comrades in the International Red Help structures and other groups across Europe. As a reflection of the importance of the women’s struggle the organising for this fundraising campaign is being led by women and the equipment we purchase will be directed primarily towards women’s units (YPJ and YJŞ). We will raise money by organising events across the country. Now is the time for a true internationalism, for socialists, anarchists, communists and indeed anyone who believes in the possibility and necessity of a new world. 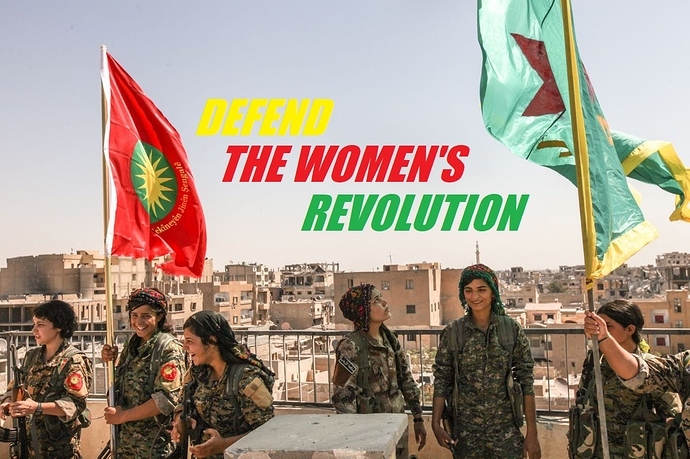 Against capitalism, against patriarchy, against fascism we must stand shoulder to shoulder with the people of Rojava to defend this global revolution. Support the Revolution, Bandages for Shengal! Sending money to the international website (paypal + bank transfer) or to Red Help Switzerland: CH82 0900 0000 8555 9939 2 (reference: “Plan C Celox”). Buy the comic ‘Rojava Calling’- all profits will now be channelled into this campaign.